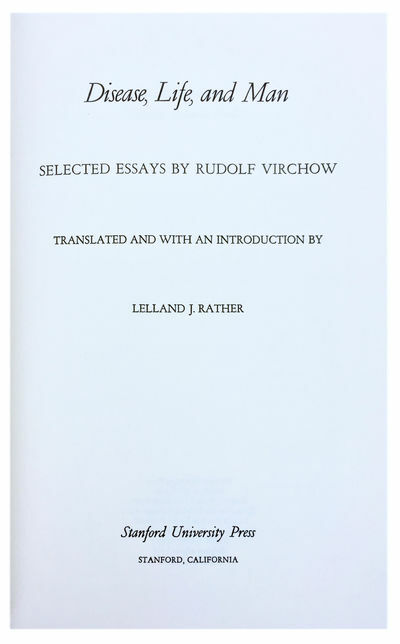 Disease, Life, and Man; Selected Essays by Rudolph Virchow. by VIRCHOW, Rudolph Ludwig Carl (1821-1902); Lelland J. RATHER (translator & editor).